Success requires you be open to change and able to adapt quickly to changes in regulations and in the market. 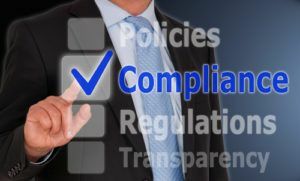 If your industry requires compliant marketing programs, look for those that allow you to control everything that’s sent out in your brand from a corporate level. 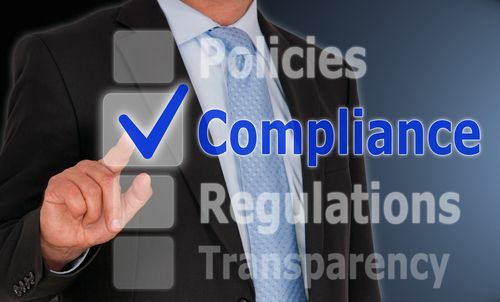 Here are a few tips for enterprises to remain compliant in a regulated environment. Our clients most affected by this are in the financial industry: mortgage lenders, banks and credit unions. The biggest challenge for marketing is having a system in place to control access to corporate-approved compliant marketing programs. Ensuring the correct and up-to-date NMLS license information and disclaimers is required, along with following corporate brand guidelines. Maintaining contact with past clients is the most cost effective way to generate referrals and ensure future business. Regardless of the number of customers in your database, the best compliant marketing programs provide personalized follow-up campaigns that are fulfilled on your behalf. The best programs include digital and mailed communications. Look for one that allows you to customize your media with your own designs and images. Another challenge for senior management is being able to monitor the marketing activity of loan officers on the fast moving platform of social media. It is impossible to do that manually. Technology and software is available to archive and manage communications. It can also use a comprehensive list of keywords to direct any communication with those words to compliance prior to it going live. Operating without such a filtering feature is risky in today’s world. Many financial services companies are fearful of allowing their people to post anything on social media without prior approval. The result is standard canned content that does not effectively engage their customers. Social media is the least costly (and most tricky) vehicle for compliant marketing programs. Look for a way to combine personalized postings from your people with some canned marketing content to keep customers engaged and returning each day. You can utilize the design and marketing experts at Continuity Programs to ensure high-quality compliant marketing programs every time.